Validate Payment status in BuyNow order will happened if buyer manually update the payment details in the order or buyer directly transfer the amount to seller’s bank account. If seller found this status in BuyNow order list, seller need to check the payment & validate the order first before proceed for shipment. 2. 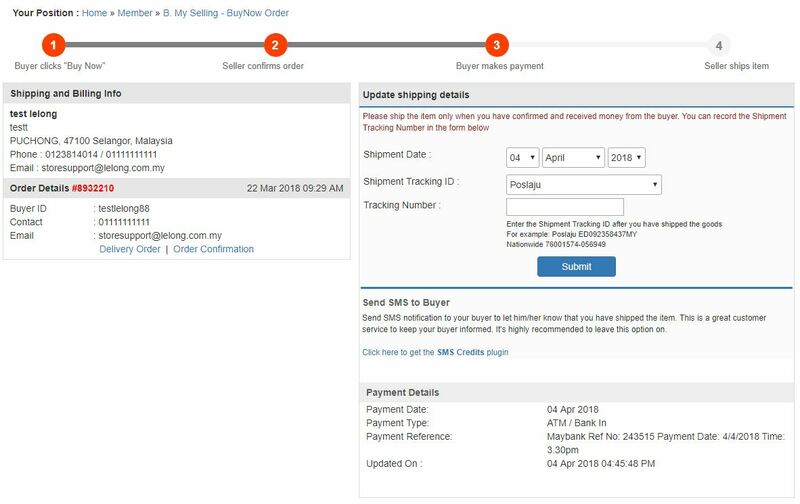 Click on (a)Order ID or (b)Validate Payment to check buyer’s payment details. b. If you confirm received the payment in your bank account, click Yes. Or else, click (c) and contact the buyer to double confirm on the payment. 4. Once validate payment, you will see the update shipment page as below. 5. You may proceed to process the order. To complete your BuyNow order, click here as guidelines.